Russian President Vladimir Putin reportedly pressed President Trump to agree to bilateral talks on arms control during their two-hour private meeting in Helsinki last month. Politico reported that a leaked Russian document it obtained contains a list of topics for negotiation that a source said Putin brought to his one-on-one meeting with Trump. [post_ads]"This is, 'We want to get out of the dog house and engage with the U.S. on a broad range of security issues,' " the unidentified source told Politico. Trump's meeting with the Russian president has been shrouded in mystery, with top Trump administration officials admitting they do not know what was discussed. In the weeks after the controversial Helsinki summit, multiple lawmakers called for the only other American in the room, the interpreter, to testify about what she had heard. 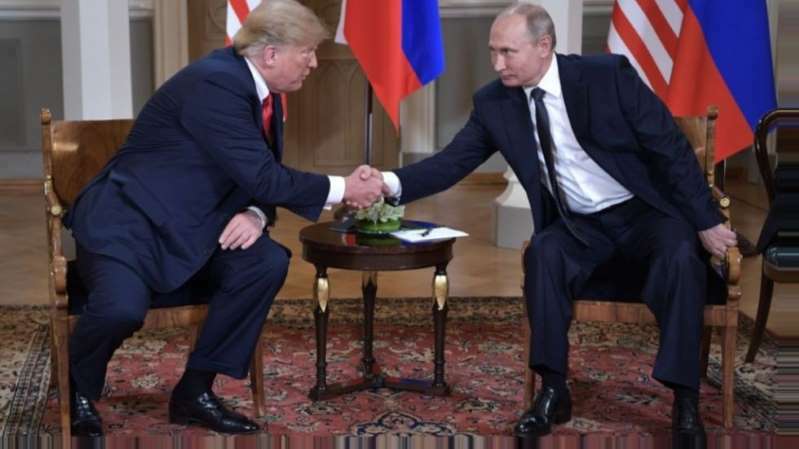 Trump faced intense bipartisan backlash after his joint press conference with Putin after their meeting, during which he downplayed Russian interference in U.S. elections and appeared to cast doubt on the U.S. intelligence community's conclusions. He said he didn't see any reason why Russia "would" have hacked the 2016 election. Though he partially walked back the comments several days later, insisting he meant to say "wouldn't," lawmakers have continued to express concern over what he might have promised Putin during the meeting. The proposal obtained by Politico reportedly does not mention cooperation between the two countries in Syria, a topic Putin introduced during the press conference as a starting point for bilateral agreements. Russia's ambassador to the United States last month said Trump made "important verbal agreements" with Putin during their private conversation, and a Russian Foreign Ministry spokeswoman told reporters that the Kremlin has already started to implement undefined agreements from the summit. Top Trump administration officials, including press secretary Sarah Huckabee Sanders and State Department spokeswoman Heather Nauert, have remained vague when answering questions about what Trump and Putin talked about. Though the White House declined to comment on the document obtained by Politico, National Security Council spokesman Garrett Marquis said Trump and Putin did not exchange written proposals. "During the historic meeting between President Trump and President Putin, the two leaders discussed a range of subjects, including our nuclear arsenals, which when combined account for roughly 90 percent of all nuclear weapons," Marquis told Politico. "There were no commitments to undertake any action, beyond agreement that both sides should continue discussions," Marquis said. "The President did not receive any written proposals from President Putin, and the President did not provide any written proposals to President Putin."